My VIP Box: Fish is Fast, Fish is Fun, Fish is Ten! Logo contest! 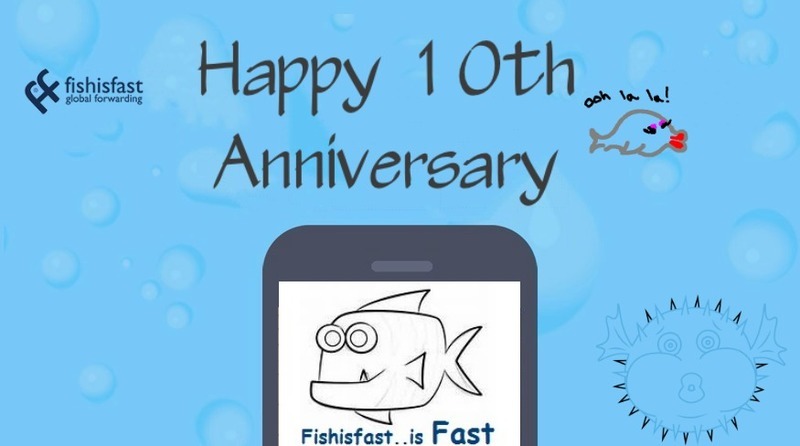 Fishisfast turns 10 years old this month! We are proud to say that for ten long years we have been helping people all around the world to buy and ship cool items from the US! We invited our customers to participate in a fun contest! Did you know that the Fishisfast logo was an actual fish!? We love this fish dearly and hope that you like it too. It worked hard for 10 years, day or night, sun or snow, and deserved some rest. We invited you to draw a fish using pens, pencils, crayons, computer applications, or any other media of your choice. The winners got $10 credit & we used their logo for a day on social media!